Now's the time to start taking advantage of low prices and stock up on Christmas gifts! 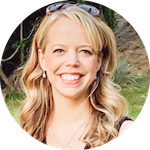 The holidays are right around the corner; don't wait until you're too busy to bargain shop. 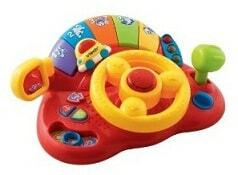 Right now, Amazon is showing some excellent prices on popular and well-reviewed VTech toys. Haiden and Piper have several VTech-brand toys and they honestly love all of them! While I can't personally recommend every single toy on the list below, I can say that I'm a big fan of the brand itself. This Vtech Winnie the Pooh Call ‘n Learn Phone was $15 :: NOW it's $11.77 :: that's 21% off! 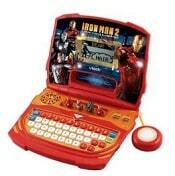 This Vtech Ironman Learning Laptop was $34.99 :: NOW it's $15.43 :: That's 56% off! This Vtech Write & Learn Smartboard was $26 :: NOW it's $14.80 :: that's 43% off! 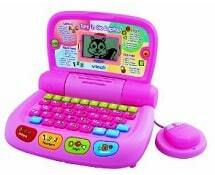 The Vtech Tote & Go Pink Laptop was $27 :: NOW it's $18.89 :: That's 30% off! 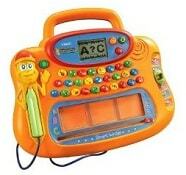 The Vtech Touch & Learn Musical Bee was $50 :: NOW it's $34.95 :: that's 30% off! 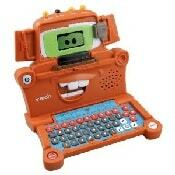 The Vtech Disney Cars Mater's Spy Mission Laptop was $30 :: NOW it's $19.97 :: that's 33% off! This Vtech Tote & Go Laptop was $27 :: NOW it's $18.89 :: that's 30% off! 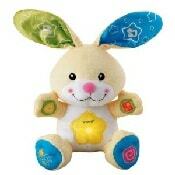 The Vtech Peek-at-Me Bunny was $18 :: NOW it's $13.65 :: that's 24% off! 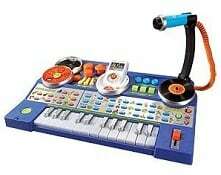 The Vtech KidiJamz Studio was $60 :: NOW it's $35.46 :: that's 41% off! 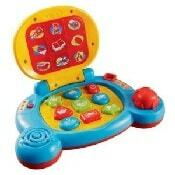 The Vtech Manny's Construction Laptop was $35 :: NOW it's $26.08 :: that's 25% off! The Vtech Learn & Discover Driver was $22 :: NOW it's $15.96 :: that's 27% off! 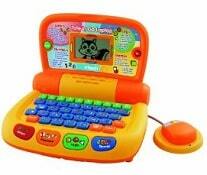 This Vtech Baby Learning Laptop was $18 :: NOW it's $12.94 :: that's 28% off! All of these toys ship free when you spend $25 or more! That Mater Laptop is too cute! Thanks for the great ideas, I have a 2 year old to buy for and had no idea what to get her. Now those are some GREAT Christmas gifts! You can never start too early. Thanks for letting me know of these amazing deals! 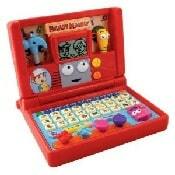 I like the Mater laptop!! That musical bee is too cute!